With the Regulations and Entry Forms published and entries flowing in, we can now confirm the details of the forthcoming season for both the Stirling Moss Trophy and the Royal Automobile Club Woodcote Trophy. 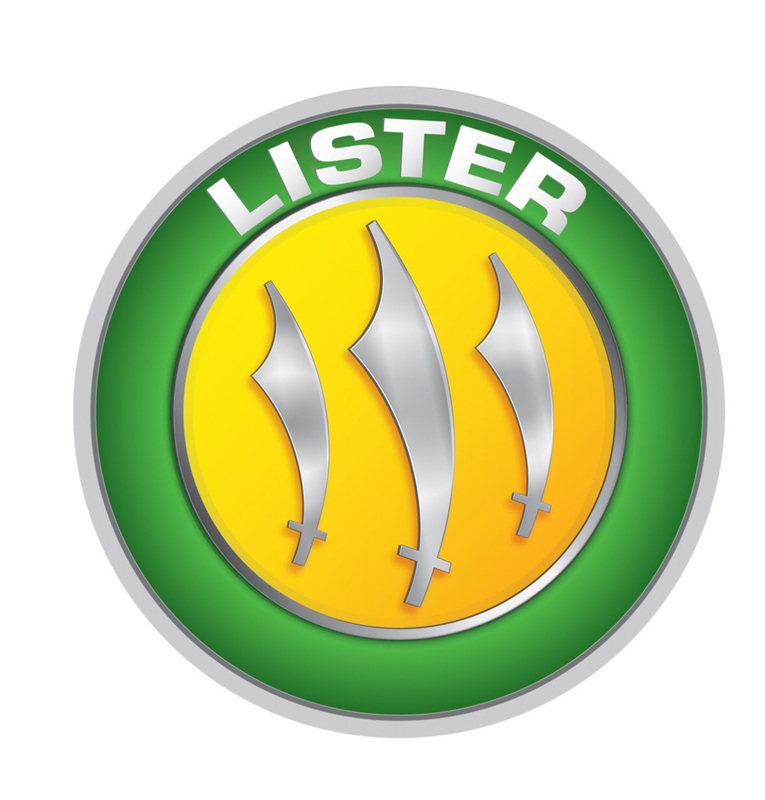 Firstly, we are delighted to announce that the Lister Motor Company has agreed to become the title sponsor for the Stirling Moss Trophy from this season. CEO Lawrence Whitaker has been a long-time supporter of Motor Racing Legends through the annual Brian Lister Trophy, but from now on the Lister Motor Company will be taking on a much more active role as title sponsor for the series. Not to be outdone, our fabulous relationship with EFG continues for a ninth successive year. We are currently planning with EFG for a number of entertaining activities away from the race tracks later this year (and yes, it is possible to have fun away from the race track!) We’ll be sharing this news with you in the coming weeks. There are a couple of pre-season testing opportunities to tell you about. If you’re planning to race at the Silverstone Classic, the organisers are offering a free test opportunity at their Media Day on Wednesday April 10th. Places are limited but you can apply for a place here. The HGPCA have also kindly offered all our 50s Sports Car competitors the chance to join them on their test day at Silverstone on Friday 12th April. Click here for further details. The season kicks off with our traditional visit to the Donington Historic Festival over the first Bank Holiday weekend in May with separate 60-minute races for both the Stirling Moss Trophy and Royal Automobile Club Woodcote Trophy. Qualifying for all grids will be on the Friday, with the Woodcote Trophy race on Saturday and the Stirling Moss Trophy racing on Sunday. After Donington, we head to Hampshire for the Thruxton Motorsport Celebration meeting in June. In the same format as 2018, we’ll host a combined grid of Woodcote Trophy and Stirling Moss Trophy competitors in two pit-stop races over two days. For this year both races have been extended to 40-minutes duration. The highlight of the summer season is our annual pilgrimage to the Silverstone Classic to race on the International stage in front of bumper crowds. The event takes place at the end of July where each grid gets a dedicated 50-minute race. We expect the Stirling Moss Trophy to run on Saturday and the Woodcote Trophy on Sunday morning, with all qualifying taking place on Friday morning. 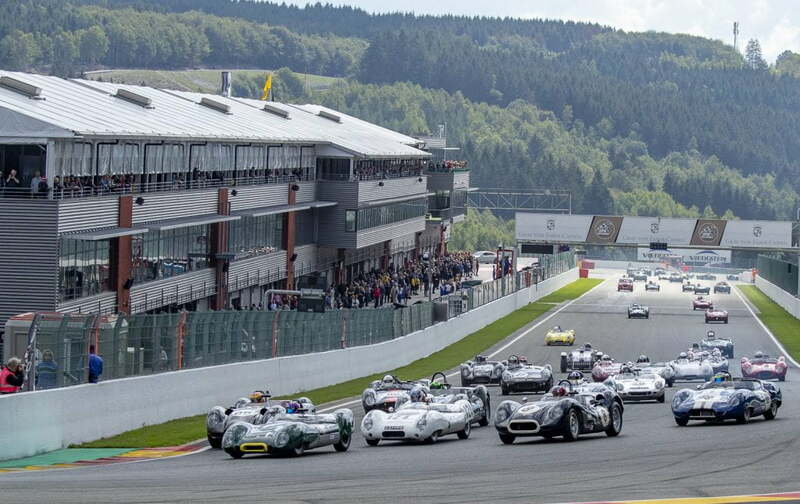 We then return slightly later than usual, to the fabulous Spa Six Hours meeting at the end of September where we will be running our combined capacity grid for a 61-minute race. As always, with our superb two-storey hospitality suite overlooking Eau Rouge, and our Saturday night soiree during the famous Spa Six Hours race itself. To round off the season, we will be returning to the Algarve Classic Festival in Portimao on the first weekend in November for the 2-hour race into the dusk for the 50s Sports Cars for which both Stirling Moss Trophy and Woodcote Trophy grids are eligible. Entry to this event includes beach-front hotel rooms -offering a great way to finish the year.